Was Gary, Indiana’s ‘portal to hell’ finally destroyed? 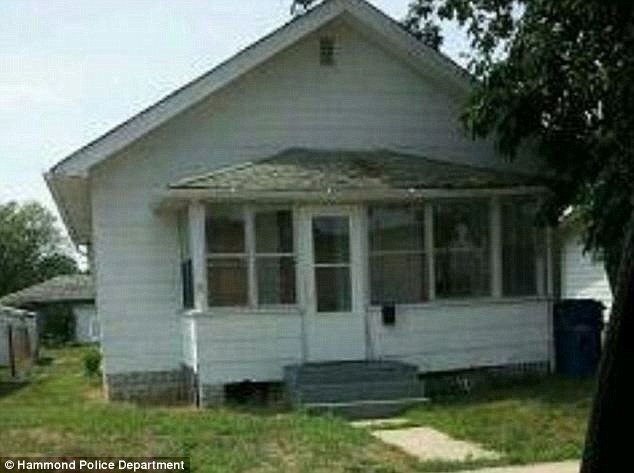 The Dailymail is reporting that a home in Gary, Indiana described as a ‘portal to hell’ was finally razed to the ground earlier this year. This description of the house was not uttered by a pastor or religious person, but rather by a police officer who visited the home. Neither was it a metaphorical description, but rather reflected the beliefs that it was a place where demons and evil spirits manifested themselves. Located 25 miles from Chicago, Gary, Indiana is a city in decline. With a population of about 80,000 it has 10,000 abandoned homes, businesses and industries and according to one report is a serial killer’s playground. The story about this house started in 2011, when Latoya Ammons and her three children rented the house. Shortly after they moved in Latoya reported that her family was being tormented by evil spirits. Bizarre things began happening in her home including hearing strange sounds and even seeing a presence in the house. No one other than family members could verify this and if these manifestations had stayed in the home, people would have laughed it off. But that changed when the two boys, then 7 and 9, visited a doctor. The story was reported by a local news paper, the Indy Star, who found out what was happening and began to investigate. With the permission of the Ammons’ family, the paper received over 800 pages documenting government reports written on the family. They also interviewed several police officers, medical staff, doctors and child services personnel involved in the case. At the doctor’s office, the boys began speaking in a strange voice and cursing the doctor. According to Dr. Geoffrey Onyeukwu, during the examination the youngest, 7, was lifted up and thrown across the room despite no one touching him. The doctor described it as the strangest thing he had ever seen and said he was scared after watching their strange behavior. When both boys collapsed to the floor, the doctor immediately called for an ambulance. At the hospital the bizarre manifestations continued and witnessed by several medical personnel. Fearing for the children, the hospital called in the Department of Child Services (DCS). DCS manager Valerie Washington and Registered Nurse Willie Walker were with the grandmother in a room with the two boys and witnessed another bizarre event. Though they initially seemed calm, the youngest, 7, attacked his older brother, 9, saying it was time for him to die. They pulled him off the brother. The oldest boy, 9, then attacked his grandmother. She held him back until he calmed down and then held his hand. Washington and Walker ran out of the room screaming and immediately called the police. In the following interviews, the police were of course skeptical and wondered if it had involved some type of acrobatic trick. Both Washington and Walker said it wasn’t anything like that. Fearing for the children, DCS removed them from the home in 2012. But later returned them after further investigation, including interviews with psychologists. A Roman Catholic priest was even called in to perform rites of exorcism. An official from DCS and two police officers attended the first exorcism and though they watched with skepticism, by the time it was done all were convinced something bizarre was happening in the home. Latoya moved her family out of the house in May 2012. The building was sold in 2014 and then recently destroyed in early 2016. But from a Christian perspective are their places where the demonic seems to have a strong hold? There may be hints of this in the Bible. Perhaps the strangest story involves the battle for Jericho as the children of Israel were entering the Promised Land under Joshua. Jericho was the major Canaanite fortress in the area. The attack was unusual involving Israel marching around the city in silence for six days. On the seventh day, they sounded the Shofar, people shouted, and the city walls collapsed, leading to the successful capture of the city (Joshua 6:1-5). But leading up to the battle, Joshua told the people of Israel that they could not remove any booty from the city. This included everything from precious gold to the most innocent looking piece of cloth. “The city shall be under the ban (Heb. cherem),” Joshua said, “it and all that is in it belongs to the Lord; only Rahab the harlot and all who are with her in the house shall live, because she hid the messengers who we sent. But as for you, only keep yourselves from the things under the ban, so that you do not covet them and take some of the things under the ban, and make the camp of Israel accursed (Heb. cheram) and bring trouble on it” (Joshua 6:17, 18 NASV). What was Joshua talking about? Now some believe the Israelis were not allowed to remove any items from Jericho because they were devoted to God. I don’t believe this was the case. The items were devoted, but not to God, and we can determine this from a second Hebrew word used in this passage. In verse 18, Joshua soberly warned Israel that if they took any items out of Jericho that they in turn would be “accursed” (charam). The first word, “cherem, is actually derived from “charam” which means to “lay under a curse” and referred to the ancient practice of putting a curse on any objects that were devoted. Consequently, any individuals who came in contact with these devoted items would be susceptible to the full force of the curse attached to them. Bible translations have incorporated a variety of words to try to encompass this concept. The King James version said Jericho was accursed, the NASV used banned and the JPS translators said Jericho was devoted. So why did Joshua put a ban on Jericho? In these verses, Moses warned Israel about bringing Canaanite idols into their homes, and this even included any gold stripped off them, because these objects of worship were devoted (cherem). Even though these items may have been treated as little more than innocent keepsakes or booty, an invisible immanence radiated from these abominations, which Moses warned would ensnare the Israelites. Behind these Canaanite gods were satanic spirits (Deuteronomy 32:16-17) and any Israelite who brought a graven image into their home, would come under that satanic authority and be subject to all the curses and entrapments associated with the evil spirits. Does this mean that satan had the right to own them? Who knows? But at the very least the demonic realm was able to exert some type of influence. In the case of Jericho, Joshua discerned that the city was devoted to satan and subsequently cursed. All the items belonging to the residents of Jericho were to be destroyed and the silver and gold was given to God as His spoils of war, since only Jehovah could handle the curses attached to them. After Israel soundly defeated Jericho, they the attacked Ai, a small Canaanite outpost. In a shocking turn of events, the Israeli army was soundly beaten and a number of men killed (Joshua 7:1-26). Joshua was stunned. However, a prophetic word revealed a man named Achan had taken an object from Jericho subjecting all of Israel to the satanic curse resulting in their defeat. Though I believe Jericho was controlled by satanic forces, are there other locations, such as this home in Gary, Indiana, where the same thing happens today?